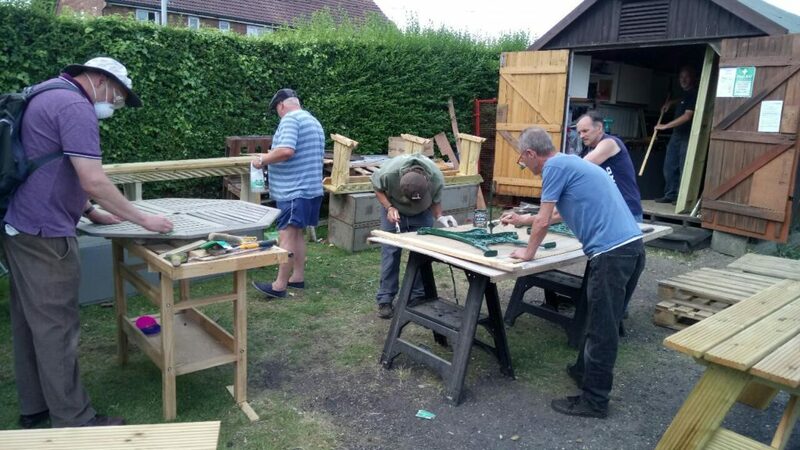 In the past year, our merry band of shedders have been working hard to build an extension, as well as designing and making work benches for people with disabilities, alongside other improvements and additions. The new look ActivShed, part of ActivGardens’ People’s Community Garden, has been kindly funded through Suffolk Community Foundation by Fonnereau Road Health Foundation, Pound Gates and Sevatas and private donors. Representatives of these organisations will be present to cut the ribbon at 11.30am. The launch will run alongside our Spring CRESS plant and produce market, with seedlings to plant on your plot, bedding plants to spruce up your garden or windowsills, and freshly picked produce to perk you up after the long winter. Young people from a local school will be hosting our CRESS Community Café with a range of delicious goodies in the spirit of the day. And of course ActivSheds items such as bird boxes, hedgehog homes, garden obelisks and more will be available for sale on the day. Our enthusiastic team will also be ready to take orders for bespoke items and are happy to quote for renovating garden benches and furniture. The project, part of ActivLives charity, runs every Friday morning and at other times of the week by arrangement. 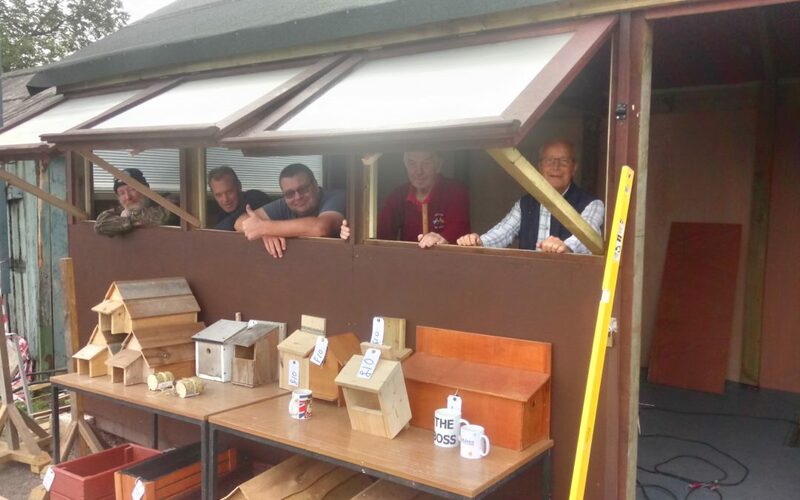 Our “men in sheds” are keen to pass on their skills to the younger generation, and the new facilities will enable older people who need support or may be in the early stages of dementia to keep active in a social way. Other groups who would like to set up a Shed project are encouraged to come along to the launch to meet our Shedders, or get in touch to share ideas. 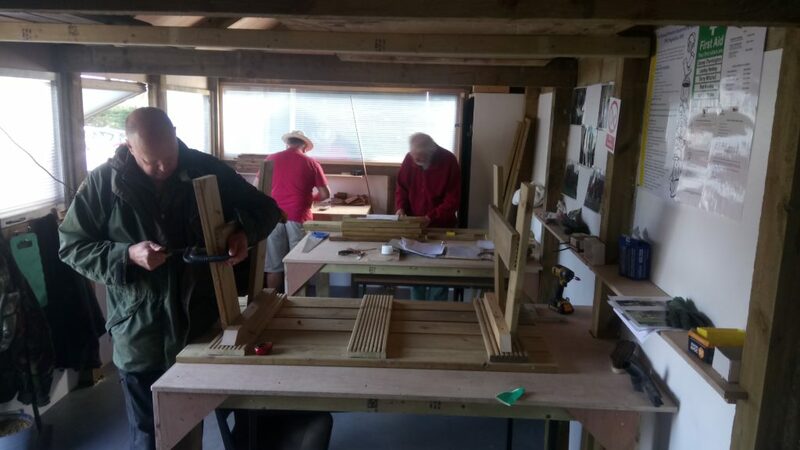 Part of an international network, ‘Men in Sheds’, the project is for men who would like to share knowledge, learn new skills, and pursue hobbies and interests to do with carpentry, DIY and construction. It is also an opportunity for them to socialise and make friends in an active way, and share the all-important cuppa while contributing to their community. ActivSheds is an innovative social programme to keep men socially connected during unemployment, retirement and/ or widowhood. The club is tailored to suit men’s interests and needs and encourages them to use their skills or hobbies so they have a real sense of purpose. ActivSheds is a place to feel at home and pursue practical interests while meeting other locals in a relaxed informal way. Members share tools and resources, work on projects of their own choosing at their own pace and in a safe, friendly and inclusive venue. It is a forum to share skills, learn informally and pursue personal interests and contribute to community projects, as well as a place to meet new friends and make new contacts and support systems. The project draws on the ‘Men’s Sheds’ network, originating in Australia, which has existing projects in the UK, including Suffolk. ActivSheds responds to a priority for Public Health Suffolk, where concerns around lonely, older men reflect national trends, outlined below. Increasing numbers of men are facing loneliness and isolation in old age, new research suggests. The number of older men living alone is set to increase by 65 per cent in the next 15 years, from 911,000 to 1.5 million by 2030, sparking concerns for a new generation of lonely pensioners as increasing numbers of men outlive their partners. Men tend to be more socially isolated than women and are often reluctant to join clubs for older people. When their partner dies, often a man’s social life shrinks. With social isolation and loneliness posing a serious risk to their health, local activities must be more tailored to men and we must involve men in designing services – many of our services simply don’t work for men. Around a third of the most isolated men (36%) were in the lowest income group compared to just 7% of the least isolated. We are planning a Women’s Skills Share ActivSheds event ‘Take up Tools’ Tuesday 26th February 2019 from 10am until 1pm. The session is designed to be fun, accessible and sociable – but places are limited, so please book. Supervised children are very welcome. We need volunteers to help maintain our gardens, grow veg, make flowers bloom, keep our bees buzzing, help in nature conservation, repair our facilities, support staff to lead groups and mentor our young people, drive vans, bake cakes …. There is a job for everyone! Please get in touch if you would like to turn over a new leaf in 2019 and contribute to ActivGardens in Ipswich – People’s Community Garden or Chantry Walled Garden – and Sudbury.